World, and dreamed about foreign lands and strange cultures. Army officer, I had hardly crossed the Mexican border. 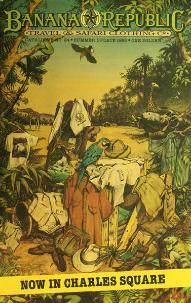 catalogue of safari-styled clothing--a masterpiece of travel writing. with Frank, one of the best traveled people I know.